Great guy. Highly recommend — Dr. Ivanov has an intelligent, realistic approach to mental healthcare. Extremely knowledgeable,helpful, & pleasant to talk to! Very refreshing these days. Great guy. Highly recommend — Dr. Ivanov has an intelligent, realistic approach to mental healthcare. Extremely knowledgeable, helpful, & pleasant to talk to! Very refreshing these days. Dr. Ivanov is an excellent psychiatrist. I've seen five psychiatrists in the last year & a half trying to find someonewho would treat my social anxiety as serious as I feel it. Dr. Ivanov is that psychiatrist. He treated me as if I was his first and only patient. He listened to me as I explained every detail of my anxiety, the effectiveness (more accurately - the lack thereof) of the medication I'd been prescribed, and we then worked together to figure out a treatment plan with which we were both satisfied. Dr. Ivanov even followed up with a phone call three days after my appointment just check how I was feeling, and whether the medication he prescribed was working. This man is someone who went into medicine for precisely the reason we hope all medical professionals join the field - to help people. Dr. Ivanov is an excellent psychiatrist. I've seen five psychiatrists in the last year & a half trying to find someone who would treat my social anxiety as serious as Ifeel it. Dr. Ivanov is that psychiatrist. He treated me as if I was his first and only patient. He listened to me as I explained every detail of my anxiety, the effectiveness (more accurately - the lack thereof) of the medication I'd been prescribed, and we then worked together to figure out a treatment plan with which we were both satisfied. Dr. Ivanov even followed up with a phone call three days after my appointment just check how I was feeling, and whether the medication he prescribed was working. This man is someone who went into medicine for precisely the reason we hope all medical professionals join the field - to help people. Zlatin Ivanov is a dedicated psychiatrist serving the community of New York, NY. Dr. Ivanov attended the Medical University - Varna Faculty of Medicine, where he received his medical degree, and completed his fellowship at the Mount Sinai Hospital. He completed his residency in psychiatry at North General Hospital. 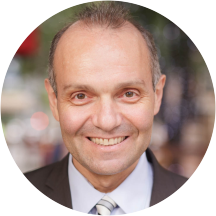 Dr. Ivanov is affiliated with Bellevue Hospital Center and Woodhull Medical and Mental Health Center in New York, NY. He is certified in psychiatry by the American Board of Psychiatry and Neurology. He runs his own practice where he provides treatment for ADHD. Dr. Ivanov’s medical career is colored by many outstanding contributions to medicine, including several publications, research, and scientific presentations. Dr. Ivanov is sensitive to the uniqueness of each patient's situation and adapts his consultations and treatment options appropriately to accommodate individual needs and concerns. Genuine, Heartfelt, Reasonable and Conserning. Thoughtful and effective communicator. Highly recommend! As always, Dr Ivanov was a pleasure to work with. I encourage anyone seeking a true professional to see Dr. Ivanov .. my only regret is not finding him sooner. This Doctor is THE BEST DOCTOR THERE IS! I'm not only talking about the professionalism he presents himself with or the quality he assures goes into every appointment with every patient but he is the nicest, most polite, friendly, understanding,truly caring and intelligent Human being and Doctor I (and I'm sure Many others who have seen him) know! I can't emphasize enough that if you want to see a Doctor who truly enjoys what he does - who not only takes the time to hear his patients out but always make sure to educate them on everything he goes over with them or on whether not he's prescribing any kind of treatment he makes sure that there's no learning barriers and constantly assures that the patient is comfortable with what's going on and you can tell he knows what he's talking about. If you just go ahead and look on ZocDoc at his credentials, education, background, Ect and the reviews he's recieved you can tell this is and truly genuine healthcare professional Who enjoys what he does and you can be sure that you will be provided with exceptional and outstanding service when booking an appointment with him… He's always more than willing to help out his patients and always makes himself available to speak with the patient anytime there's a question or concern or even just to communicate anything regarding an appointment/time just to make sure that you're prepared and that you're updated. I strongly suggest that you make an appointment with him, he will not be disappointed and knowing there are doctors like this doctor out there will allow you to leave the appointment feeling confident that you're in good hands!!!! My last visit with Dr. Ivanov was like all the rest. Superb. If not for Zoc Doc I never would have found this amazing person. I was unfortunately late to my last session. Unlike other doctors I have seen in the past Dr. Ivanov was incredibly understanding and flexible. He puts his patients first, ( thanks to his patience) And would recommend him as one ofthe best doctors I have ever seen in New York. Or anywhere for that matter. He's very pleasant, professional, intelligent and assures the patient is educated on materials that the patient may know but double checks their knowledge and assures they have the right information. I HIGHLY recommend this Doctor!! Dr. Ivanov is a class act and just a really great, all-around great person. I'm afraid he'll be too busy to see me after I post this but he deserves it. He could also teach a class to other doctors on listening and being flexible for your patients. He is a gentleman and great doctor to boot. I have been seeing him for over a month now. Dr. Ivanov has brought "patient service" (as if such a word exists as in many cases it does not) to an entirelynew level. Caring, considerate, compassionate, Dr. Ivanov has restored my faith not only in Zoc Docs but also in the psychiatric treatment. Each time is noteworthy. He cares and listens and takes the time to explain to why he is making the choices he is making. Few psychologists give you a voice as to what you should be putting in your body. He's really top notch. It's refreshing to see a psych who actually listens to you and keeps your concerns in mind who works with you in finding solutions. I am not much for writing reviews, but I feel that a professional as special as Dr. Ivanov is worth touting. Whereas I used to often dread going to therapy and would discontinue it for long periods of time, I actuallylook forward to most of my appointments with Dr. Ivanov. He has a very caring approach that he brings to the therapeutic sessions, as well as a great deal of wisdom to offer even in the most difficult and complicated situations. I'd highly recommend him to anyone who is looking for a knowledgeable and caring specialist in the area.